PROTEST THE LEFT: CON, CON, GONE!! All Your Rights and Freedoms! 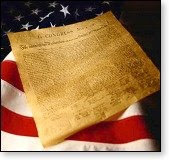 World Net Daily exposes a possible plot to rewrite the Constitution, thereby destroying our freedom and liberty! That's right folks! Just two more states that vote yes, and Congress will move to convene a Constitutional Convention that will turn our blessed Constitution and Bill of Rights into a couple of socialist manifesto's. All the rights and freedoms we as Americans have enjoyed for over 200 years will be GONE! NO it's NOT a JOKE! You can dang well bet Obama knows all about this, and it is probably part of his scheme to implement full-blown socialism in America. If this happens you can kiss your Money, your Freedom, your House, your Land, your Guns, your Food, your Kids, and you Civil Rights GOODBYE!! This could in fact happen the early part of this next year, are you ready to stand and resist Obama? Are you willing to fight for your freedom? Do you even care?